Maria Pallante, the Register of Copyrights and Director of the United States Copyright Office, submitted her resignation today, after being abruptly removed and transferred from office last Friday by Dr. Carla Hayden, the new Librarian of Congress, who was sworn in just weeks ago. According to a statement issued by the Library of Congress, Hayden transferred Pallante to a newly created non-managerial position within the Library, Senior Advisor for Digital Strategy. Karyn Temple Claggett, an Associate Register, was appointed Acting Register of Copyrights, effective immediately. We are disappointed to see Pallante go. She was a devoted leader of the Copyright Office, launching several major initiatives—including a full review of the Copyright Act to bring it into the 21st Century, and the modernization of the Copyright Office to better serve the evolving needs of digital-era Copyright Office constituents—initiatives that took great vision and courage. She also oversaw a full review of and set of recommendations for bringing the Office’s technology into the 21st Century; she shored up copyright registration practices and created a comprehensive online guide to registration and recordation—the 2014 Compendium of U.S. Copyright Office Practices, Third Edition—which was the first wholesale revision of the Compendium in 30 years. In another major initiative (which the Authors Guild has adopted as part of our 2016 Legislative Priorities), Pallante led the Office in a comprehensive study and then a recommendation to create a small claims tribunal, which would allow authors and other creators to bring small infringement claims inexpensively, without having to hire a lawyer. Congressmen Hakeem Jeffries (D-NY) and Tom Marino (R-PA) have already introduced legislation to implement the recommendations, and Congresswoman Judy Chu (D-CA) has indicated that she might as well. During her tenure, Pallante displayed an uncommon willingness to comprehend and to balance the positions of all copyright stakeholders. Especially important to the Guild was Pallante’s conviction that ultimately the creative industries cannot thrive without respect for individual creators. Under Pallante, the Copyright Office operated under and embodied the principle that copyright exists to benefit the public by incentivizing new works of authorship, and that the rights of individual creators need be respected to ensure that robust creative ecosystems can flourish through new digital platforms. The Making Available Right in the United States (February 2016); Orphan Works and Mass Digitization (June 2015); Copyright and the Music Marketplace (February 2015); Resale Royalties (December 2013); Copyright Small Claims (September 2013); Copyright Protection for Pre-1972 Sound Recordings (December 2011); Legal Issues in Mass Digitization (October 2011); and Marketplace Alternatives to Replace Statutory Licenses (August 2011). Leading always by example, Pallante tackled many difficult issues, and employed a standard of excellence and a work ethic that infused her diversely-minded staff—hired from all copyright sectors—with the energy and devotion to accomplish monumental amounts of exceedingly high quality work. Each study, report and other document issued during her tenure was extremely well researched and written, the law and facts meticulously analyzed. And in every study and rulemaking process, the Office thoroughly reviewed and addressed the hundreds (sometimes thousands) of stakeholder comments submitted for consideration. It is a difficult time of transition in copyright law, with so much of the law being questioned and recast in response to the digital revolution. It is the rare person who can summon the abilities and strengths Pallante did to tackle these issues head-on. We applaud Pallante for her outstanding service as Register these last five years. Moral Rights; Revising the Copyright Exceptions for Libraries and Archives; Mandatory Deposit of Online-Only Books; Copyright Office IT Modernization; Section 512 of the DMCA; and Section 1201 of the DMCA (Circumvention of Technological Protection Measures), among other issues. It has been the Authors Guild’s long held belief that the head of the Copyright Office, not the Librarian, should be responsible for issuing copyright policy. 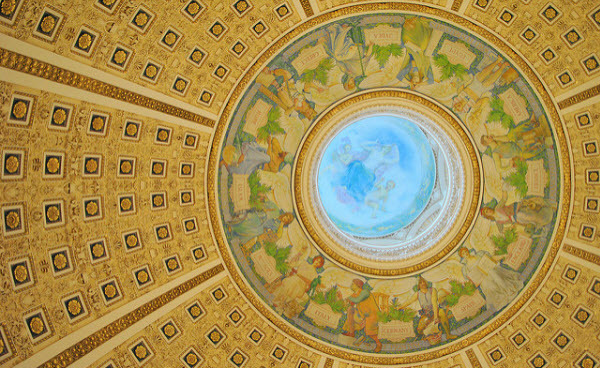 The Copyright Act currently states that the Register of Copyright is subject to the direction and supervision of the Librarian of Congress and that regulations established by the Copyright Office are subject to the Librarian’s approval. This is required by the fact that the Copyright Office is a division of the Library of Congress (for historical reasons—the Library wanted the copyright deposits), and the Register is not a presidential appointee. This is why it has been a long-standing priority of the Authors Guild for Congress to modernize the Copyright Office to give it greater political, budget and IT independence from the Library. Fortunately, Congress has heard our ideas and has been looking at changing the institutional structure of the Copyright Office. Legislation has been introduced in the House that would modernize the Copyright Office and give it greater independence from the Library. The Authors Guild endorsed this bill and continues to support this concept. Meanwhile, we are pleased that Temple Claggett, Associate Register of Copyrights and Director of Policy and International Affairs for the United States Copyright Office, has agreed to serve as Acting Register while the search for a permanent replacement is underway. Temple Claggett is an astute and experienced copyright lawyer and manager and an excellent choice to lead the Copyright Office through this period of transition. In her prior role, Temple Claggett oversaw the office’s domestic and international policy analyses, legislative support, and trade negotiations, among other matters. We look forward to working with Temple Claggett during the transition. We understand that a search committee to fill the Register’s position is being formed. The Authors Guild will request that creators be represented on that committee. We hope that the new Register will continue the Copyright Office’s long tradition of championing and serving the interests of individual creators, men and women who work in an increasingly precarious economy, and whose work, though often taken for granted, remains the lifeblood of our culture.